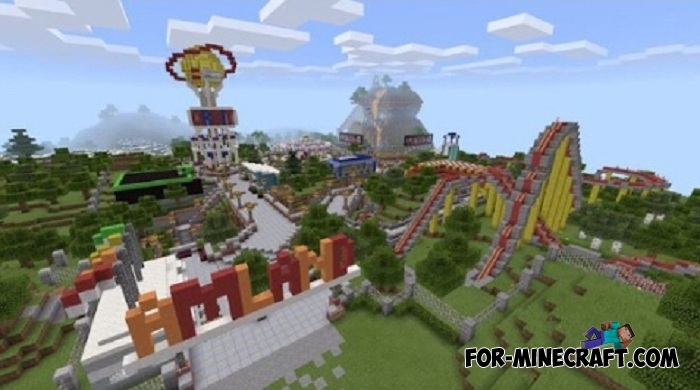 AM Land is a very old amusement park that was developed on version 0.10.0 and absorbed almost all the possible attractions that can be built in Minecraft Bedrock. Its prehistory begins with two roller coaster where you, along with other players, can ride and get a dose of adrenaline and pleasure. At the moment, AM Land includes about a dozen high-quality decorated attractions designed for both one and several players. 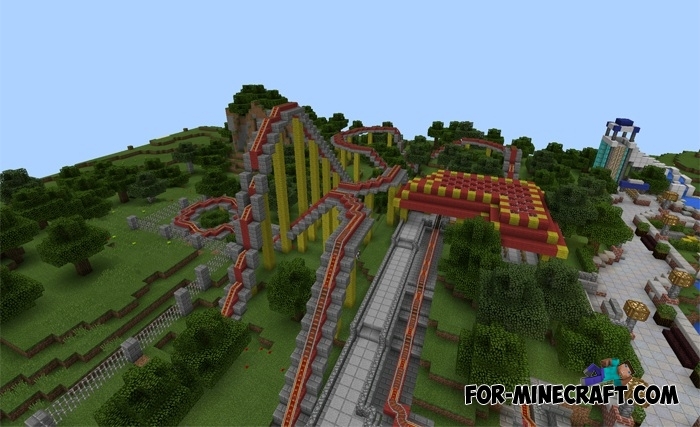 In fact, the map demonstrates everything that rails, minecarts and mechanisms in MCPE are capable of, but thanks to educational update 1.5, the amusement park can get even more delightful attractions working on chemical mechanisms.